Beverly Emory has been named the state’s new director of district and regional support. 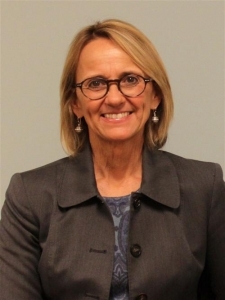 Winston-Salem/Forsyth County Schools is looking for a new leader after State Superintendent Mark Johnson hired away Beverly Emory to become the state’s new director of district and regional support, The Winston-Salem Journal (WSJ) reported Friday. The superintendent also filled another vacancy and two newly created positions. As director of district and regional support, Emory will be charged with building a data-driven state program to help improve low-performing schools. She replaces Nancy Barbour, who retired last month. Emory has severed as superintendent of the school district since 2013. She was superintendent of Pitt County Schools from 2006-13. Johnson, a former member of the Winston-Salem/Forsyth County Board of Education, told the WSJ that he’s been looking for a way to bring Emory to Raleigh since he took office in 2016.“I wanted to find a way to bring Dr. Emory onto my team, to help more than just the students of Forsyth County,” Johnson said. Mary M. Hemphill will become the state’s first director of Computer Science and Technology Education, a new position created as part of the state’s Computer Science Plan championed by Johnson and the General Assembly to emphasize the importance of coding and computer careers. Hemphill will join DPI in April. She will report to Deputy Superintendent of Innovation Eric Hall. Hemphill is currently principal of Carver Middle School in Scotland County. She earned a bachelor’s degree from Meredith College, a Master of School Administration degree from Western Carolina University, and a doctorate in education from N.C. A&T University. Jonathan Sink was named general counsel for the superintendent and began his duties today. A Charlotte native, Sink has been serving as deputy chief of staff for N.C. Speaker of the House Tim Moore since 2017. Previously, he served as the director of government affairs for the county manager’s office in Mecklenburg County and as associate general counsel for the Charlotte-Mecklenburg Board of Education. Sink earned a bachelor’s degree from the UNC-Chapel Hill and a law degree from the Charlotte School of Law. Sherry Thomas was named director of the division of Exceptional Children. Thomas has served as acting director of the division since the retirement of Bill Hussey and has been assistant director since 2013. Thomas earned a bachelor’s degree in special education from Sacred Heart College and a Master’s of Education in special education from UNC Charlotte.